Five years after the proclamation of the 2010 Seoul Agenda, the United Nations General Assembly adopted the goals for sustainable development as the foundation of the work of the United Nations forthe next 15 years. 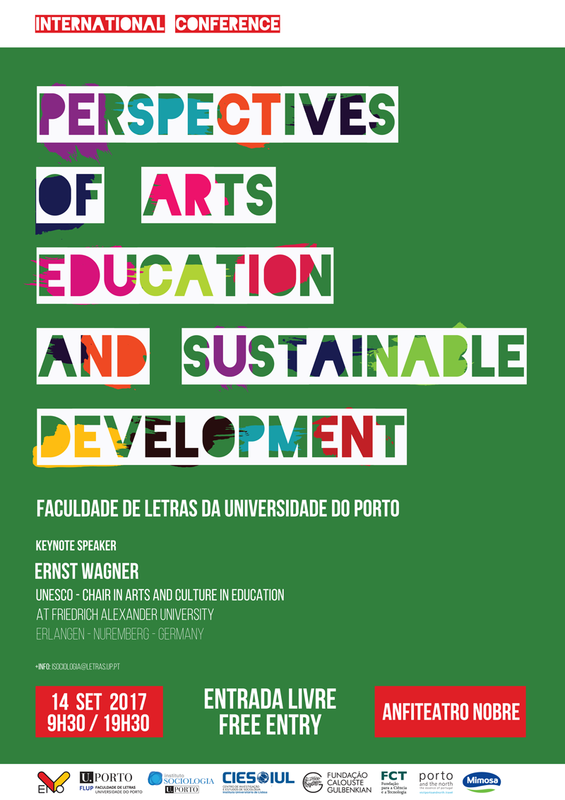 In line with the UN strategy for arts education in the context of sustainable development, the ENO network - Associated with UNESCO - organises the International Conference Perspectives of Arts Education and Sustainable Development, at Faculdade de Letras - Universidade do Porto on the 14th September. The congress aims to reflect on artistic and cultural education with various specialists, both inside and outside the academy, as well as to give visibility to best practices of professionals who work daily in in governmental and non-governmental organisations.